Our modern cities—positively gleaming by historical standards—are a perfect example of how quickly people come to accept the new as normal. The cities of antiquity were filthy: the streets were clogged with trash and rotting food scraps, and human waste was dumped into open-air sewers (in the best-case scenarios). Only in very recent history did we begin to establish efficient municipal waste removal systems for trash and construct sewers to carry human waste to water treatment plants through pipes tastefully buried underground. While these developments represent a major improvement in the human condition, we can do better. Today, municipal wastewater treatment plants (WWTPs) provide an incredibly important service, but they also represent major costs for Canadian taxpayers. The approximately 1,500 WWTPs operating in Canada today have a combined annual energy bill of over $1 billion, representing 3% of total Canadian energy use. WWTPs are a service worth paying for, of course, but through today’s technology we could also use them to generate revenue. MaRS has collaborated with a few Canadian clean technology entrepreneurs to develop a plan to convert existing WWTPs into generators of useful products, like biogas. The concept was developed for the CanInfra Challenge, a national competition with the goal of surfacing ideas to update Canada’s infrastructure, and has recently been named a top-10 finalist. Our plan would allow Canadians to enjoy all the benefits of cleaner streets and a healthy environment, while offsetting some of the infrastructure costs and combating climate change. We have to start by rethinking what a WWTP does. In addition to treating wastewater, WWTPs could be used to process solid organic food waste, folding in an entirely separate service that our governments already spend big money on (and at a huge environmental cost: as Canada’s five-million tonnes of annual food waste decays, it releases large quantities of methane, a major contributor to climate change). 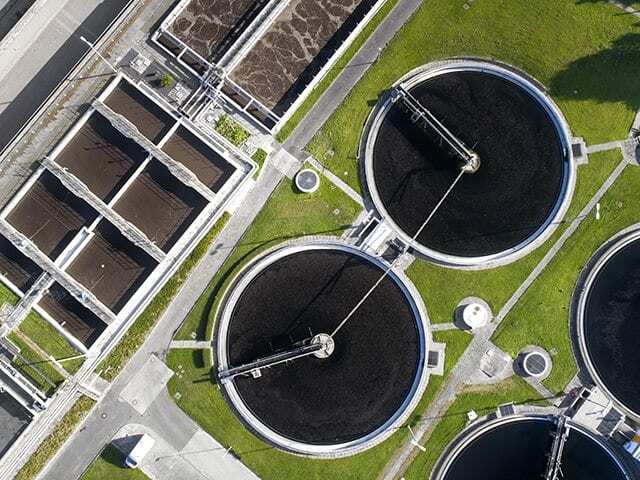 Both wastewater and food waste could be broken down by bacterial-based anaerobic digestion, a simple and proven natural process that produces biogas, also known as renewable natural gas, as a natural byproduct. The advantage is obvious: we would literally turn waste into fuel, which could then be used on site to power and heat the facilities, or sold into our existing natural gas networks and used in power plants and home-heating systems. It could also be used as a clean-burning, low-carbon fuel for vehicles, for example in municipal truck fleets. Used in these ways, it could displace 10% of the natural gas we use – equivalent in emissions savings to taking three million cars off the road. The opportunities here are enormous. Significant time, energy and money have already been spent in making our electricity systems less carbon intensive—blessed with abundant hydropower, Canada is already a leader in that regard. But little attention has been paid to other major sources of warming gases, including our natural gas and waste processing systems. This solution tackles both areas at the same time, while also turning a government expense into a revenue stream. The potential impact of this plan can’t be overstated. All of these technologies exist already and are currently being marketed by some of the cleantech ventures that we work with at MaRS. For instance, StormFisher is already converting 100,000 tonnes of food waste per year into electricity and fertilizer. Mississauga-based CHAR Technologies efficiently and sustainably removes the sulphur from biogas and converts it into fertilizer. Cascara Energy is delivering combined heat and power equipment that uses biogas for fuel. WWTPs no longer need to be money pits. We can make them revenue generators instead. By producing electricity and gas, and charging tipping fees to trucks unloading food waste, we calculate that a WWTP operating on our model could recoup the full costs of construction within five to eight years. This is a radical shift in how we think about one of our most expensive and necessary municipal services. The technology is proven and ready to use now. It’s time to turn our waste into revenue and fight climate change while we do it. MaRS Cleantech partnered with StormFisher, CHAR Technologies and Cascara Energy to create our vision for the future waste treatment utility for the CanInfra Challenge. You can check out all finalists and vote for the one you want to win on the CanInfra site.